And may 2014 bring you great birding adventures whether it is in your backyard or abroad. This beautiful watercolor portrait of Steve and me was created by Clayton Thompson. 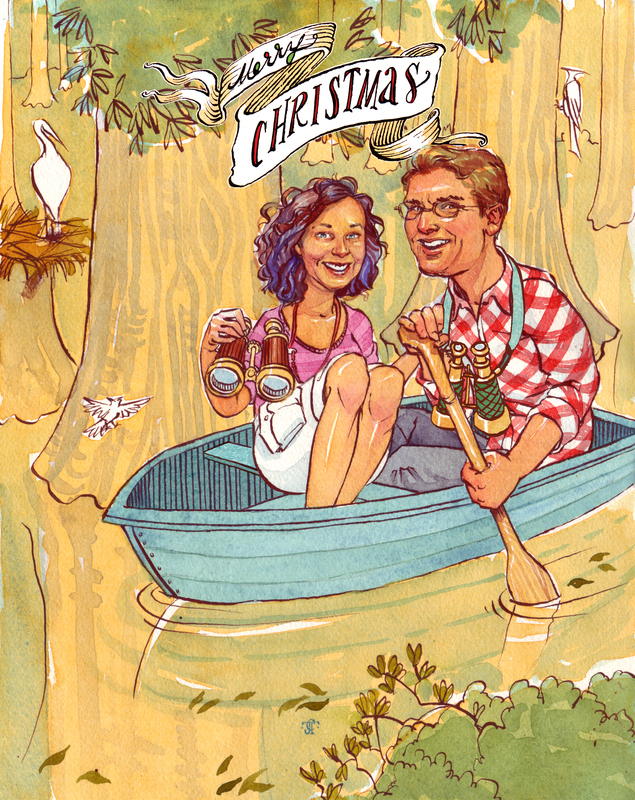 Merry Christmas to you too and may 2014 bring a flight/flock of new sightings. That’s such a terrific illustration – what fun to have it. A great year of more birding adventures to you! BTW, I took a short Christmas walk in a local park today and saw 3 pairs of beautiful Wood ducks, working out their pre-nuptial (dis)agreements- fabulous!